Stone machine is widely used in industry equipment, with the rapid development of stone industry, stone material processing requirements continue to increase, stone machinery also followed in the footsteps of time, gradually intellectualization. 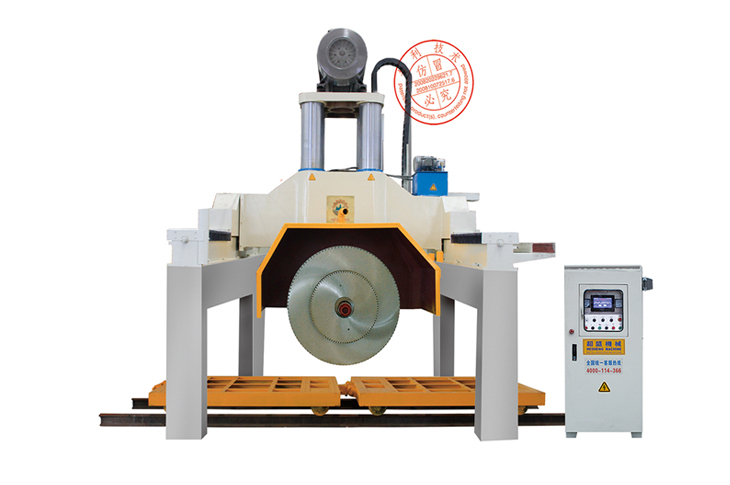 Most of the current domestic stone cutting machine adopts the traditional relay - contactor control manner, control means relatively backward, cutting accuracy is poorer, and when cutting the need for personnel on-site control, pose a threat to the health. In view of this situation, we conceived the method of stone machinery +PLC to solve this problem. I'll explain it to you now. The method is to input the requirement of the stone material into the human interface (HMI) to initiate the PLC, and use the rotary encoder to replace the traditional stroke switch or limit switch to cut the length of the cutting. With the rotation of the rotary encoder measure the direction of motor frequency and converted into high-speed count pulse to the PLC to count the operation can obtain accurate displacement of inadvertently or car travel, compared with the setting of the initial value, PLC reset when set value is reached the direction of the corresponding motor coil to make it stop. Simple and safe operation. Hesheng machinery was established in 1980,produce Automatical Bridge Saw.High Efficiency Multidisc Block Cutter.Gantry Block Cutter. Manual Edge Cutting Machine. Special Shape Processing Machine for Countertop.Column...Collection of Polishing Machine and other cutstomize equipment for processing slab and block material.